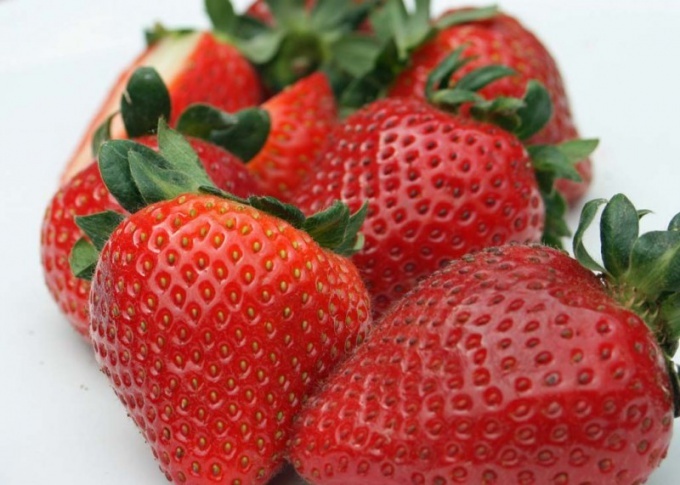 In addition to the taste characteristics, in strawberry berries a lot of health benefits. 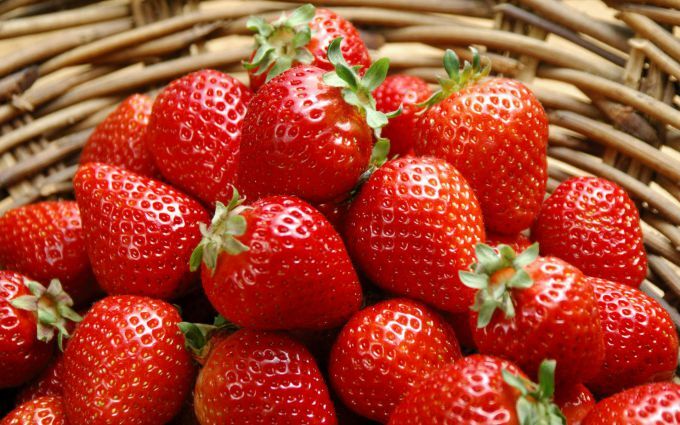 Strawberries helps to treat cardiovascular diseases, has a beneficial effect on the liver and biliary tract, it is recommended for women's diseases and anemia. To preserve the healing qualities, it is important to know how to gather these berries. Strawberries usually ripen by mid-June, depending on how much solar heat will give the beginning of summer. But as soon as the clearings will be the first red dots, it's time to take the empties and go for strawberries. By the way, about the packaging: since this berry is unlike garden strawberries, softer and more easily wrinkled, three-liter cans and buckets it is better to leave the house. Collect the strawberries in a bowl with a wide bottom and low sides. For collection well-suited for transparent bowl, preferably with ventilated holes. Folding them berries, you can monitor the status of the lower layers under the weight of they give juice. Even better, if you have a wicker basket. The collected berries are ventilated, and the temperature inside the basket will remain close to natural. For this purpose, suitable plastic containers, which usually sell baked goods. But before tucking them berries, make as many holes in the bottom and the walls of the container. Take one bowl or basket, and as much as possible, and you'll bring home whole berries instead of the strawberry pulp. Berries do not get crushed as long as possible, gather them together with the sepals. But then you'll have to Rob the strawberries before eating or harvesting for the winter, and it's double the work. 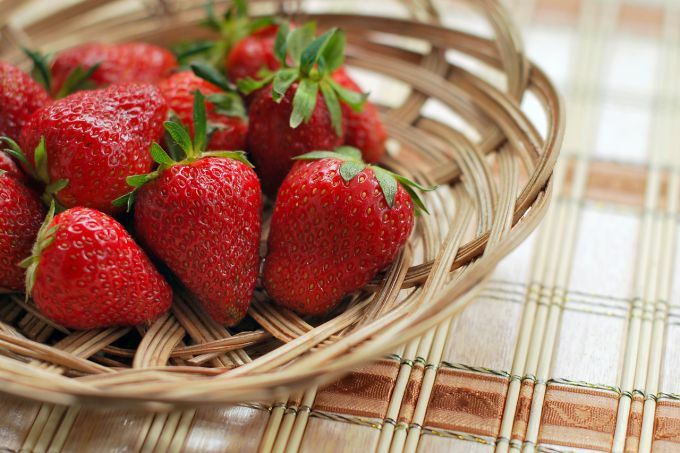 Save the form and useful properties, collecting strawberries bunches-bunches. If you decided to do this a bunch, in no case do not remove the stems, and cut them with a knife. Pulling out the stem, you are breaking the root system of the plant. Berries longer retained useful properties and avoid smearing, you want to pick them after the morning dew or in the evening, but on the contrary, after the dew. 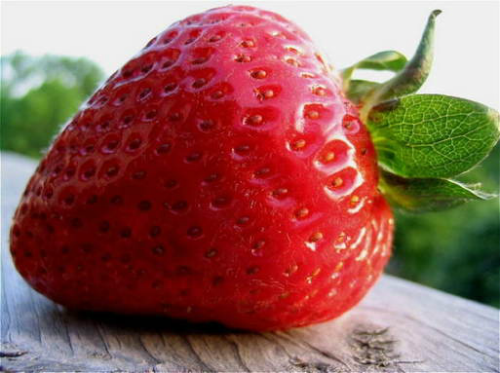 So strawberries longer retains its shape and will not "melt away" ahead of time. But there are collected the berries at any time of the day. Strawberry, or strawberry, as it is called by the gardeners, is the first berry that appears on garden beds after winter. But the cultivation of this delicious and healthy culture is a time - consuming activity and requires special knowledge. To get an early harvest of the strawberries, I will have to try very hard. Gather a rich harvest, early strawberry is impossible without its preliminary landing. Propagated this culture outlets, which are formed on the antennae, discarded from the parent plant. For growing uberite outlet which is closest to the Bush. From 20 July until mid-August to plant or replant the strawberries (in one place for those cultures to grow for more than three years is not recommended: yields are declining, the variety is degenerate). The soil for strawberries should be well fertilized with manure compost and peat, and also munirovna sawdust. Mineral fertilizers should not be chlorine. After the successful wintering of the bushes the next summer you collect the first bountiful harvest. But you have to care for the plant with early spring. First, clean the beds of dead leaves and gently loosen the ground around the bushes. In the flowering period in may-June remove weeds, abundantly water the soil by using organic fertilizer. When the berries are only tied over mulch the soil around the bushes with straw or fine sawdust, and it will not allow the berries to get dirty and rot. 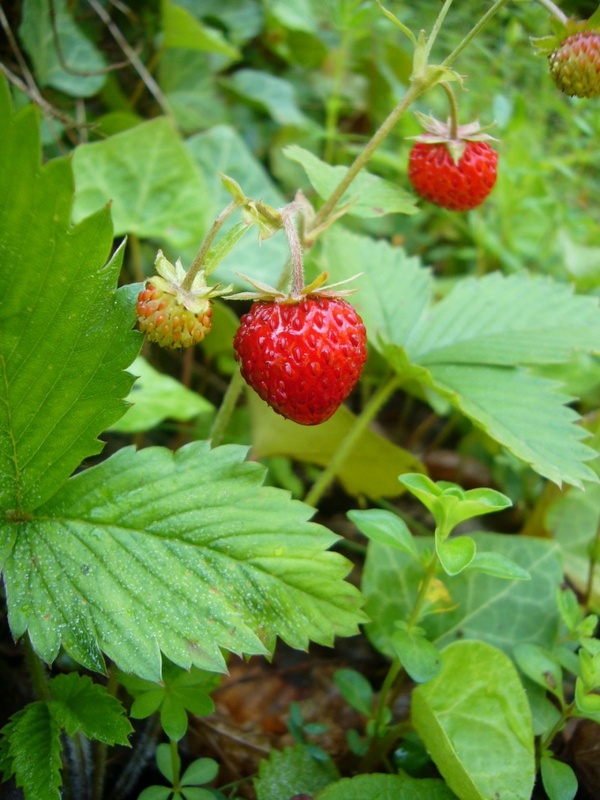 In mid-June until mid-July you will enjoy the ripe berries of garden strawberry. The yield will be high and gradually go on the decline in the first and second year after planting. After collecting the first harvest of the strawberry bushes to feed liquid fertilizer, dig deep aisle, weed the weeds, remove the mustache. The latter will have to remove after each collection of berries (up to 3-4 times over the summer), and strong rosette planted in a hotbed for growing a rich harvest for the next year. Otplodonosivshih 3-4-year-old plots of strawberries immediately after harvest the last of the berries need to be weeded, removing all the bushes, dig over and prepare for vegetable crops. In Central Russia grow a lot of varieties of strawberries that differ in terms of ripening. A novice grower, it is important to learn all the characteristics of specific plants in order to plant seedlings in open ground and properly care for them. At a certain skill possible in the spring to get the first crop of early strawberries from own garden. Usually strawberry seedlings are planted in the garden in late summer or early September to give the plant an opportunity to take root and stand the test of winter cold. If this deadline you missed, it is recommended to delay planting until mid-April. Early strawberry varieties experienced gardeners planted under the film, because it allows them to get the first crop of berries in may. To know when ripe early strawberries, you should be familiar with the characteristics of the variety. This herbaceous plant can bear fruit only once during the warm season or have sposobnosti repeatedly to blossom and bear new fruit within one vegetation period (everbearing strawberry). Among the first group can be identified such early varieties as "Olivia", "Cleary", "Czech Beauty", "dawn", "Kama". With proper care for seedlings they can begin to bear fruit already in 15-22 may. During the first summer month you can collect quite a bountiful harvest of strawberries. The period of activity in cultivars with single fruiting is very short, however, in favourable climatic conditions they are able to go through another development cycle and bring new and abundant harvest. Berries everbearing varieties if they are grown under plastic flooring, also begin to ripen early – late spring. 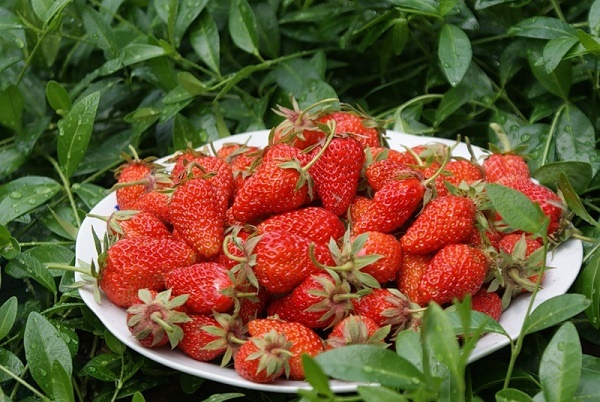 Fruiting strawberries will come in waves: in June you will get the first harvest; in early July the bushes will be a second batch of berries in mid-August will begin the third stage of fruiting herbaceous plants. Popular everbearing varieties of strawberries – "Queen Elizabeth 2", "Brighton and Hove", "Lyubava", "the Rhine waltz", "Tribute", "Uralochka". If there is no frost, they can give you the fresh berries even in September. Autumn winter-hardy plants are covered, and overwintered leaves in the spring immediately accepted to work for the harvest." Some varieties remain dormant overwintering buds. Once prigreet sun of may, the strawberry comes early flowering and you get the long-awaited sweet berries. The time of ripening of this delicious, juicy and fragrant berries that are grown in backyards and farmers ' fields, for both adults and children. 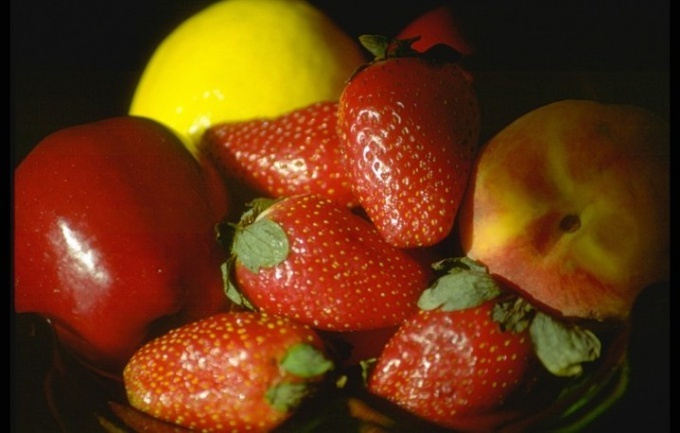 Strawberry varieties differ in ripening and length of fruiting. Conventional strawberries are grown once per season and everbearing varieties produce fruit several times from late spring to mid-autumn. To know the period when the strawberry ripens, you need to know in what climate zone it is growing. Already not unusual in many areas of steel remontant varieties that produce fruit two to three times during the summer. They bloom, too, from early may to October, and fruiting occurs almost continuously, but in waves. The first notable harvest in early June, in mid-July appears on branches with berries, and in the middle of August is another harvest. If the weather conditions this year were favorable, there is a probability of receiving and the fourth harvest, which falls in the middle of October. Strawberriesgrown under greenhouse conditions, of course, begins to bear fruit sooner than planted in the open ground. For greenhouse varieties are "Burned" and "Wave". They are grown in enclosed greenhouses or winter heated rooms. These varieties are characterized by high yields and a dense structure of the pulp of the berries, thereby they well endure transportation over long distances. The ripening of strawberries these varieties in the first half of June. Fruiting can last for almost a month – until mid-July. Varieties grown in the open ground – "Desna", "the little Mermaid", "Pocahontas", "Mascot", "festival", "Cambridge" in the mid-latitudes begin to bear fruit by the end of June. But it has its own peculiarities. Early varieties: "Olivia", "clearys" appears in the beds the first week you can start to collect "Elsanta", "Festival" and "Capital", a week – "Prezent", "Gigantella", "Arosa", the latter will ripen "Pegasus", "Camera", "Tarusa". For the term maturity is also influenced by the selection of a site for planting. It needs to be Sunny, not flooded and well-fertilized. If you plant the varieties of different ripening its crop you can collect in a month and a half. 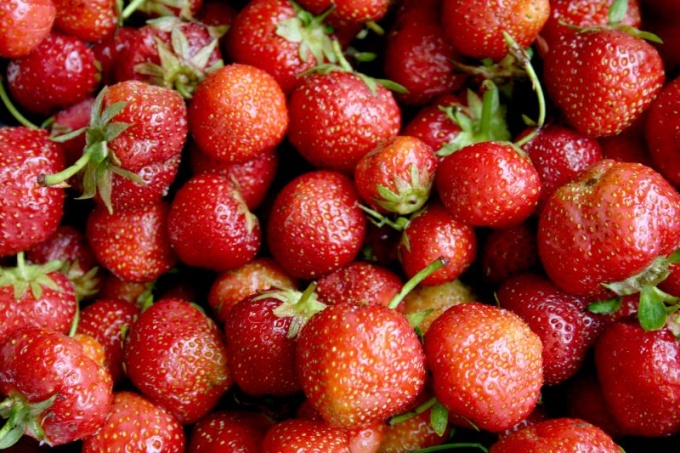 Strawberry is one of the earliest berries, which ripen the middle lane and in the South of Russia. It contains large amounts of vitamin C, bioflavonoids and phenolic compounds, and minerals potassium, magnesium and zinc. Strawberry purifies and strengthens the walls of blood vessels and great heals many skin diseases when applied externally. Plant strawberry seedlings better where used to grow peas, beans, radish, garden greens – parsley, dill, lettuce... you can't alternate the berries with tomatoes, potatoes, cucumbers, sunflowers and Jerusalem artichoke. A bad neighbor for strawberries will be raspberries, because these plants are common pests. Lay the plantation of strawberries is better in April or August when the heat was over. However, to delay the planting should not be too, otherwise the strawberry won't have time to grow and take root until the beginning of frost. To transplant seedlings is better with a lump of earth on the roots, and carry over long distances in a wide bucket or basket. If the plants were long out of the earth, you can dip the roots in water or in manure-clay mash for two hours. The plantation can not be placed in heavily shaded or swampy location. Before planting the soil must be fertilized: 1 sqm 5-6 kg of humus or compost, 50 g of superphosphate, 30 g of potassium sulfate or as a replacement, 60 g of wood ash. Then liberally pour each hole under the seedlings. The distance between the strawberry bushes should be at least 25-30 cm When planting make sure the heart was at ground level, otherwise it can rot and the plant will die. After landing again pour plantation and well over mulch the soil. As mulch you can use peat, humus, black film or husk. If it is very hot weather, over seedlings is possible to arrange the canopies of Newspapers to protect from sunburn and drying out of the soil. Mustache weaken the bushes and reduce productivity, so regularly tsepinite them, with the exception of those who decided to leave for new seedlings. To obtain good planting material is better to leave not more than two of the first whiskers from each Bush. After collecting the berries need to fertilize the soil with a mixture of superphosphate and potassium sulfate at the rate of 25 grams of each component per square meter Instead of potassium you can use wood ash and 50 g per sq. m.
There are many varieties of strawberries, and for each grade it is necessary to properly care to strawberries grew large and tasty. Taste the quality of this wonderful berries are directly dependent on the proper care of her. For planting strawberries is necessary to properly prepare the soil. So, strawberries fertilized with nitrogen fertilizer (ammonium nitrate) per one hundred square meters need 2 kilograms. Dilute the fertilizer with water and pour into the prepared garden beds for planting strawberries. It is recommended to do it at the end of March or beginning of April. Feed strawberry nitrate once a year. If you'll more to do this large would not benefit, because they will grow some leaves and lots of weeds. Go to planting strawberries. It is recommended to plant the bushes from each other 15-20 centimeters, so she had enough space in the future and that the bushes do not touch each other. Strawberry loves water. It is recommended to water it every day, but after sunset, as if to water in the afternoon or in the morning, is suddenly burning sun, it dried the dirt and earth will burst, and strawberry does not like it. She likes that the earth was soft and fluffy. When you already collected all the fruits, prepare the plant to rest. This is done in the autumn. Take a sharp scissors and every Bush prune the roots, remove old dried leaves. Free shrub of old leaves and rotten berries, take cow manure (you can use other kinds of manure) and carefully pour all the beds. Fertilize strawberries every year! If you follow these simple rules, the strawberries will be next year a very large, sweet, fleshy. In order to achieve a rich harvest of strawberries, you need to make some effort. And, of course, will have to take care of that and the following year, berry was enough to buy food and jam. If the strawberry leaves have wrinkled and acquired a yellowish tint, strawberries infected with strawberry mite. If you do not fight it, first, reduces the winter hardiness of the plants, and secondly, the harvest will be reduced by almost half. After harvest, carefully inspect all bushes, remove the diseased and destroy them. The remaining bushes cut off all the leaves leaving only the heart. Treat strawberries with hot water (about 60-65 degrees). You can spray karbofosom (½ tsp per 10 liters of water). If the strawberries looks healthy, not infected by pests, cut off the leaves after harvesting is not necessary. It is sufficient to remove only the dead leaves and logopatologii bushes. To prevent spray and strawberry infusion of garlic (two heads of crushed garlic per 10 liters of water). First remove all the weeds in strawberry plantations, then shallow loosen the soil. Then over mulch strawberry beds with organic fertilizer: backfill under clumps of compost or peat layer of 2-3 cm. During this period, the strawberries need nitrogen: feed the plants with ash (4 cups per 1 square meter). After the fertilizer is well-pour the strawberry. In early July, the strawberries start intensively growing shoots, that is a mustache. It's time to prepare the seedlings out of the sockets on the mustache two - three years of strawberries. Separate outlet with the beginnings of roots from the parent plant. To outlet quick start, put them for 8-10 hours in a solution of a growth stimulant. Then put the socket on the beds with fertile and loose soil — nurseries. Distance between plants 20-25 cm Pour and the first time pritenyayut from the sun, light material. In 2-3 weeks (end of July) the seedlings will be ready for transplanting to a permanent place. Young bushes should have three leaves and well developed root system with a length of at least 5 cm. 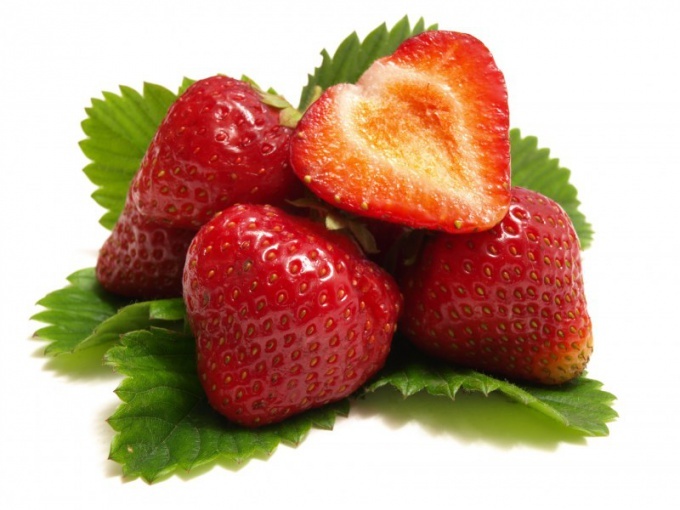 Strawberry – very tasty and useful berry, love it, and adults and children. On the market today, this berry is a very expensive pleasure, not everyone can afford. But to enjoy the incredible taste of strawberries all want. Because many people choose to plant strawberries in your garden plot. Turns out not at all. Often bushes wither or nipped by the frost during the winter, it happens that the berries are too small and not enough sweet taste. How to plant strawberries and to care for her, to get a large crop of excellent berries? Here are five key components of success. The right choice of beds. One of the most important decisions of a green thumb is not what he wants to plant strawberries, and where he is going to do. The area for planting the strawberry plants should not be located on the southern slope, where the snow melts earlier than in other places of the site, leaving the plants without protection in the spring frosts. Also, do not position the bed in the lowlands, due to excessive coolness or highly susceptible to wind place, for the same reason. A bed to align and make a small slope to the southwest. The location of the area for strawberries in a few years need to change. The more bushes to plant, the harvest will be smaller. The optimal distance between seedlings and 40-50cm. Selection of seedlings. Selecting plants it is necessary to pay attention to attractive, well-developed root system, fairly large plants. When landing it is necessary to shorten the roots to inches and to place them vertically in the soil. Site preparation and planting plants. To prepare the beds thoroughly to remove weeds, dig over the soil several times, treated with ammonia solution to destroy insect larvae. Spring to produce mulching the area with compost, spread on top of agrotextile or roofing. In the material to make holes through them into the soil to plant strawberry bushes. This is to ensure that in the garden grew only berries, no weeds. With the same purpose, to plant the strawberries in the soil, and then mulch of dried pine needles. Fertilizing and watering. You do not need much to fill in the area with seedlings of strawberries, but also to prevent the drying of the soil also should not be. Fertilize and special integrated nitrogen fertilizing is necessary several times a season. Preparing for the winter. The best protection for berries in winter, will serve as a snow cap. But while the snow still fell, late in the fall to make soil mulching around the bushes and cover the strawberries with a thin layer of straw. In the spring of of excess coating to remove. Strawberry is a berry that is almost everyone in the garden. Most of us, as soon as strawberry bushes begin to bloom, looking forward to when you can eat these juicy and sweet red berries. Keep up the strawberries in each region begins in the time, for example, in Russia it can be enjoyed early in the Krasnodar region. The end of may, and in stores of large cities of Russia are already beginning to receive the strawberry. In most cases, these berries are imported from Spain, Turkey, Israel, but among them you can find and Krasnodar strawberries. Yes, do not be surprised, in Russia these berries appear earlier (but only in the southern regions), for example, early strawberries in Krasnodar ripens in late April-early may, and the mid - in mid-may. However, depending on weather conditions, the timing of its maturation may change. In Moscow, the strawberries ripen a month later than in the Krasnodar region. For example, if planted early in the greenhouse, the first berries can be eaten in early June if planted by mid-season, then the harvest can begin in mid-June (at planting in the greenhouse) or late June (when landing in open ground). It should be noted that if the weather is overcast and not particularly warm, above the ripening berries can "lag" for a few weeks. Leningrad oblast is just North of Moscow, but weather in these two areas is virtually identical. Hence it can be concluded that the ripening of strawberries in the Leningrad region is similar to the ripening of these berries in the Moscow region. If this difference is, it is insignificant, not more than a week.